The manufacturers of Bastion products have been carefully selected following our extensive product testing and evaluation of companies who comply to relevant international standards and certifications. Our policy also involves regular monitoring and inspections by Bastion management of our manufacturers production facilities and their testing and quality control procedures. Bastion also engages in an independent agent to inspect and test each shipment following production prior to dispatch. This ensures the correct AQL levels, tensile strength, thickness, colour and other details. Bastion Pacific is committed to attaining the highest level of quality and consistency. Effective packing and dispatch methods and reliable transport agents will ensure products will be delivered to your company's warehouse in good condition. 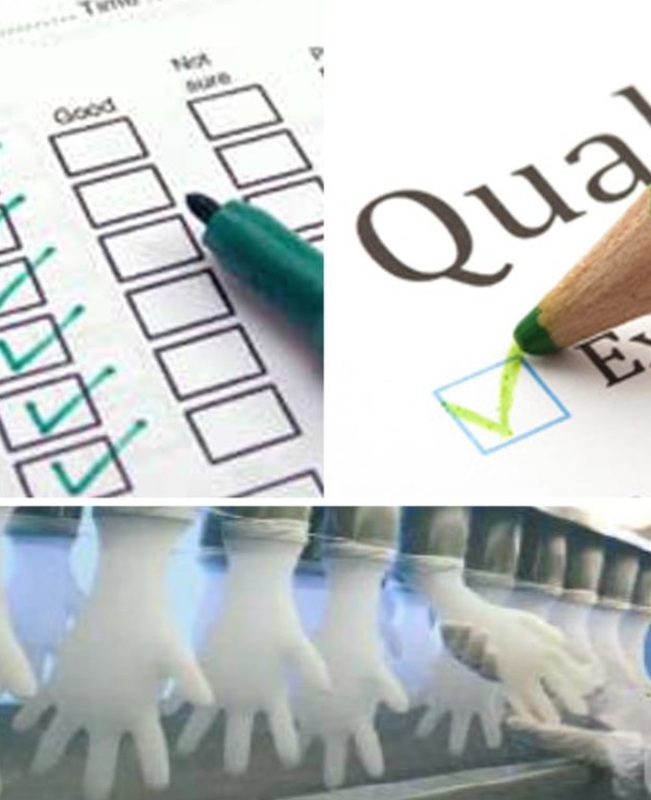 Our policy for inspection and testing of quality allows Bastion to confidently guarantee to your company that every shipment will comply. The Bastion Quality Management System complies with ISO 9001:2015 and the following industry Standards apply to a range of our products.